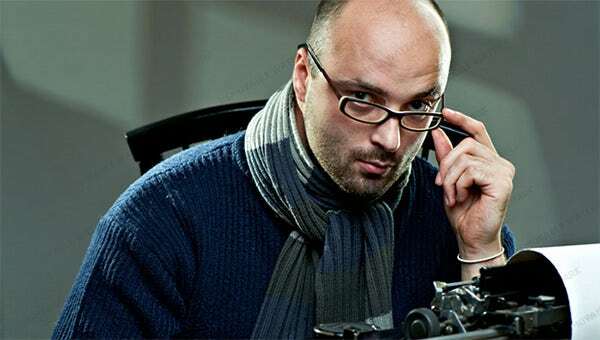 For people looking for designated templates for their avatar as a writer, they need to totally check out best website templates for writers. 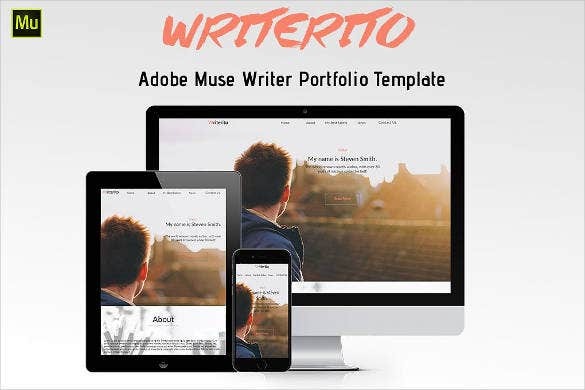 These templates have interfaces which are most conducive to showcase the talent of the writers. 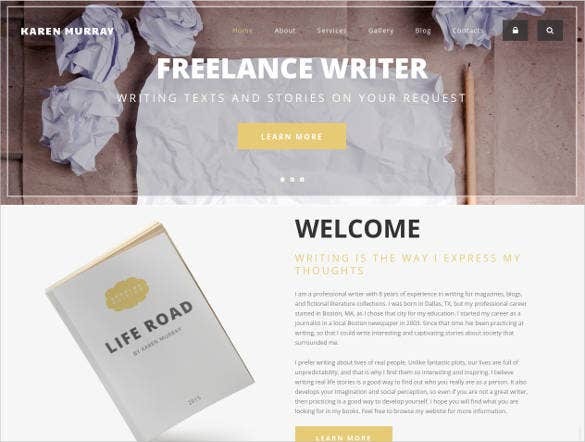 First and foremost, the templates are highly responsive which means they will function seamlessly on all kinds of devices.You may also check Writers Drupal Themes. 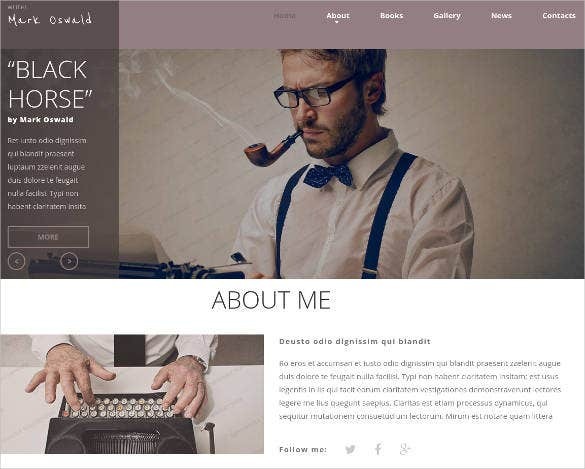 Personal Page Website Template is a clean website template that has a modern feel to it. It is fully responsive, laid in 2 columns with a base width of 1600 pixels and comes with a working search form. 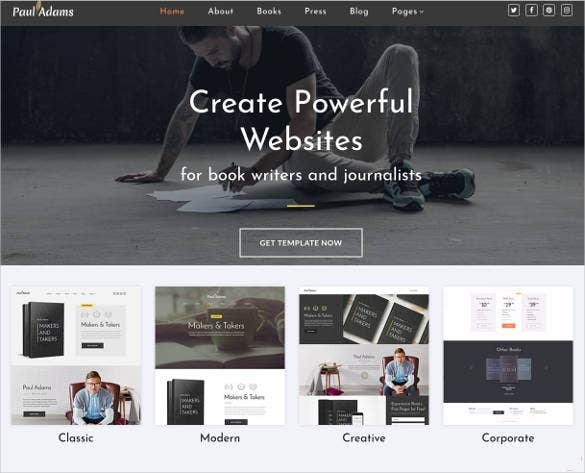 The Writer is a beautifully designed website template for writers. 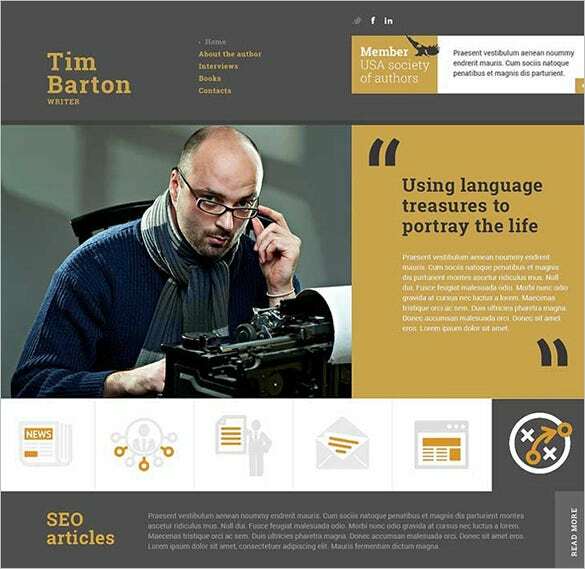 It is 100% responsive and comes with features such as author portfolio, attractive designs for articles and Google Authorship integration. 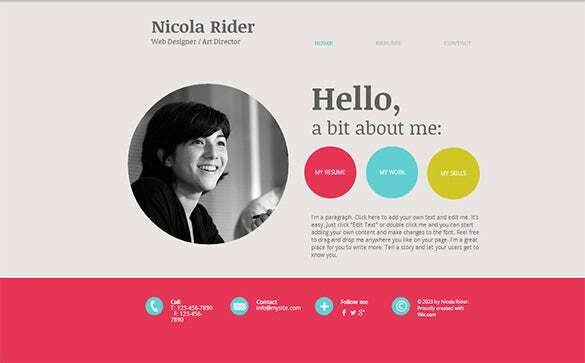 The nicola rider writer website template is a simple and beautiful looking website template for writers that uses a minimalistic approach in its design and styles and helps you to display your work. 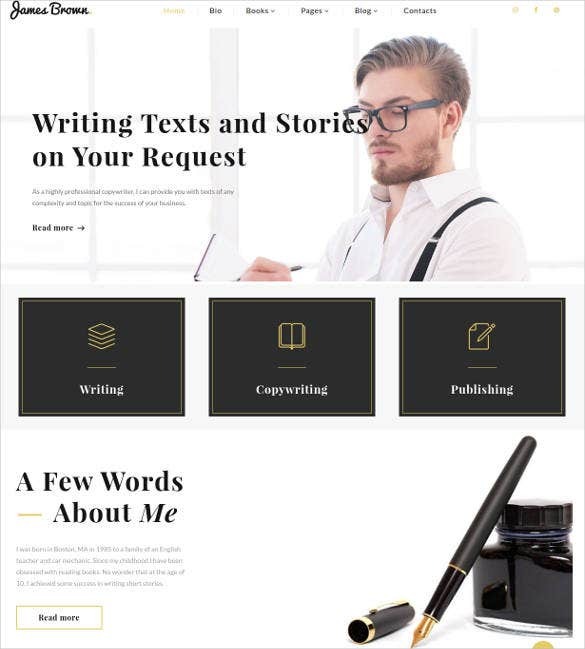 The personal page responsive website template is a well created and classy looking website templates for writers which is very responsive and helps you to categorize and display your literary work of art. 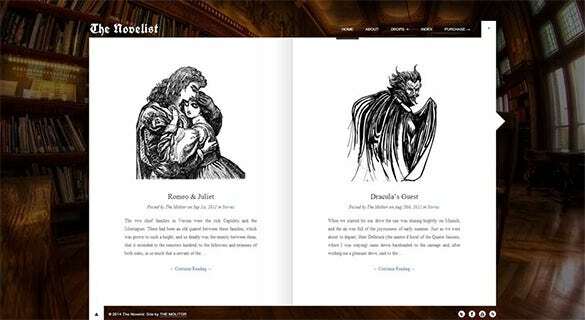 The novelist responsive word press website theme for writers is a visually stunning and beautiful looking website template for writers that creates a novel like design to display your novel. 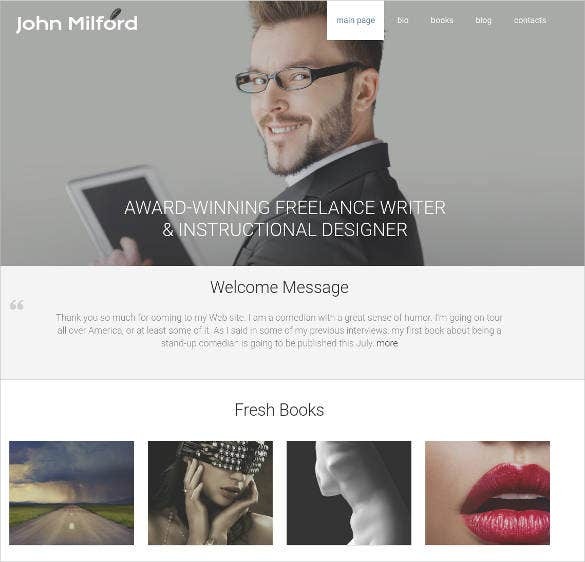 The word press website theme for writers is a very simple looking website theme for writers that is used by writers who are looking for a simple interface to promote their novels and blogs. 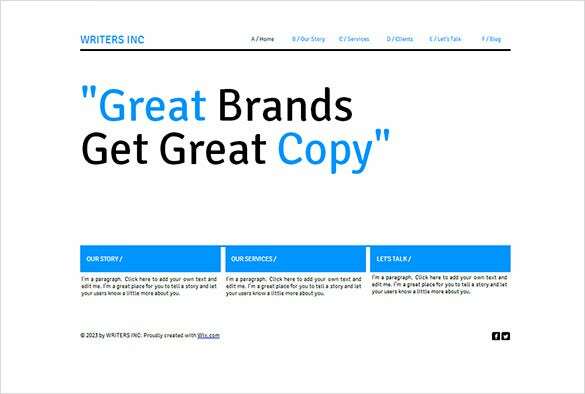 Fully responsive and cross browser compatible, Writers Inc is a clean, modern writers website template with minimal design. It is highly editable and comes with multiple colors and fonts. 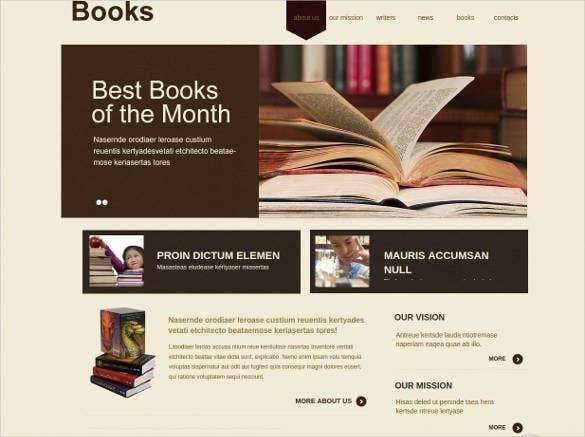 Secondly, they offer supreme functionality due to the embedded coding in them such as HTML and CSS. This proves to be the best feature for it forms the backbone of the templates and makes them phenomenal. It is possible to make all customizations through the templates and for the same there are endless designs to choose from. People are spoilt for choices when it comes to color, fonts and designs. A noteworthy feature of such top templates is they come with an assistive help file which can guide the user in a systematic way to make the website effectively functional. Such premium offerings of the templates can be availed either for free or one has to pay some money for them. Either way, the templates will sufficiently reduce the extensive coding time and also keep the marketing budget secure. Grab the templates and shine as a writer today!